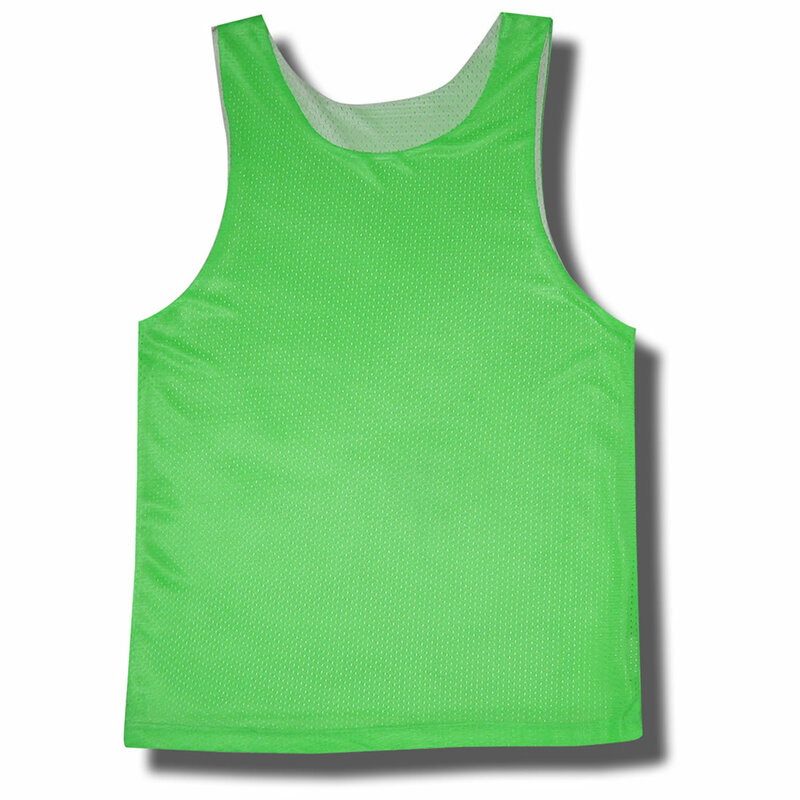 Women's Neon Green reversible mesh tank top is a 100% polyester material. Bright neon color on one side, white on the other. Features side seams with double-needle stitching for durability. The bottom is open between layers to allow for easy decoration.